Home - Jarvis Design & Display Ltd.
Manufacturing quality signage since 1972. Jarvis Design & Display Ltd. was established in 1972 and provincially incorporated in 1979 by the current owner and Company President, Jarvis Peacock. 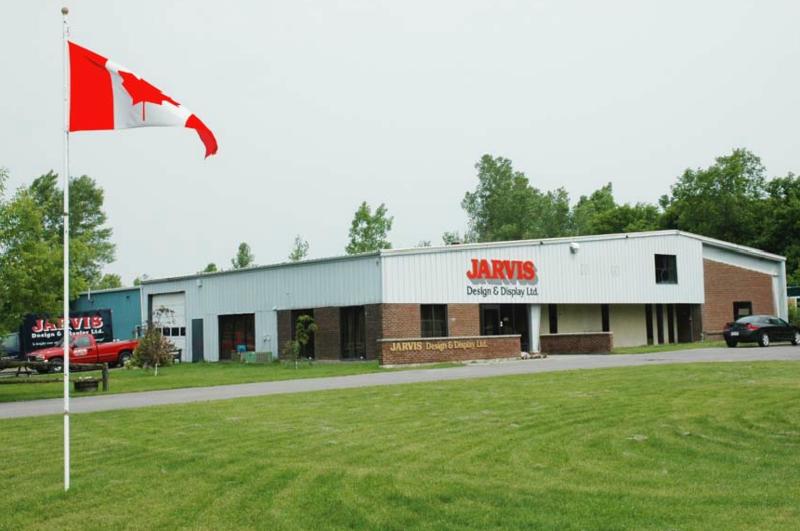 Originally located in Ottawa, in 1988 Jarvis Design & Display Ltd. relocated to a larger facility in Kemptville, Ontario in order to meet the dynamic needs of our growing client base. We purchased a 17,000 square foot manufacturing and office facility on 20 acres of land where we continue to produce interior and exterior commercial signage for a wide range of applications for clients across Canada. We also provide coast to coast installation services to our clients nation-wide. Some of our long term clients include Loblaws Properties Limited, Sears Canada, LCBO, Zehrs, No Frills, Your Independent Grocer, Valu-mart, Freshmart, Real Canadian and Atlantic Superstores.